What can you rent for $2,500 in Oakland, right now? Curious about just how far your dollar goes in Oakland? 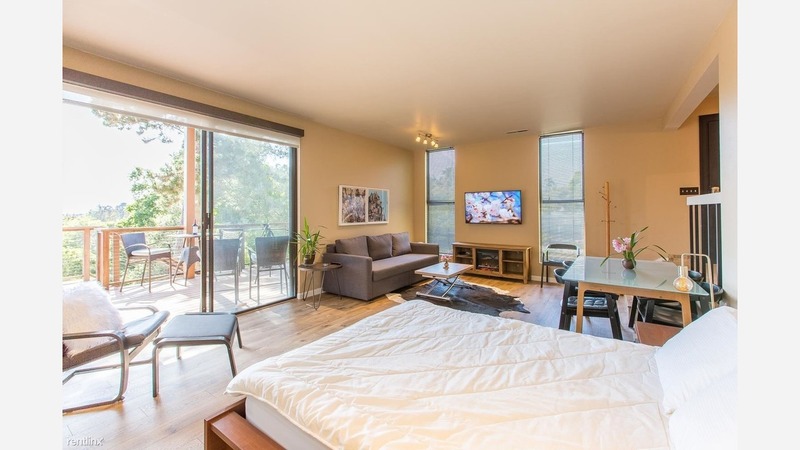 We've rounded up the latest offerings via rental site Zumper to get a sense of what to expect when it comes to finding an apartment in Oakland if you don't want to spend more than $2,500/month on rent. By comparison: as of this week, that's also the median rent for a two-bedroom apartment. Take a peek at what the city has to offer, but note that these prices and availability are subject to change. Listed at $2,500/month, this 550-square-foot, one-bedroom, one-bathroom apartment is located at 4602 Park Blvd. The apartment features hardwood floors, granite countertops, stainless steel appliances and ample natural light. On-site laundry is offered as a building amenity. Pet lovers are in luck: cats and dogs are welcome. According to Walk Score's assessment, this location is very walkable, is somewhat bikeable and has good transit options. Here's a 670-square-foot, one-bedroom, one-bathroom condo at 5 Embarcadero West that's going for $2,495/month. In the unit, you'll get hardwood floors, a dishwasher, stainless steel appliances, a spacious closet and a balcony. The building offers on-site laundry, garage parking, outdoor space, a swimming pool, a fitness center, an elevator, storage space, secured entry and on-site management. Cats and dogs are not welcome. Per Walk Score ratings, the area around this address is friendly for those on foot, is very bikeable and has excellent transit. Next, check out this 450-square-foot, one-bedroom, one-bathroom residence that's located at 5425 Leona St. It's also listed for $2,495/month. The furnished unit offers hardwood floors, a walk-in closet, a deck, a fireplace and in-unit laundry. Pet guardians, inquire elsewhere: this spot doesn't allow cats or dogs. Walk Score indicates that this location isn't very walkable, isn't particularly bikeable and has some transit options.